Sony India has expanded its Cyber-shot lineup in India with the launch of its new camera, Sony Cyber-shot DSC-WX800. Sony Cyber-shot DSC-WX800 compact high-zoom camera is claimed to have the “world’s smallest body” for its type and it has a range starting from 24mm that goes up to 720mm. The new camera by Sony comes with 4K video recording capabilities and has Bionz X image processing. The camera is priced at Rs 34,990 and will be available across all Alpha Flagship stores, Sony Center stores and other electronic retail shops in the country. If you are an interested buyer, you can get your camera on October 29. The camera by Sony comes with Zeiss Vario-Sonnar T High Magnification Zoom lens and as we mentioned earlier, its zoom range starts from 24mm and goes up to 720mm super-telephoto. 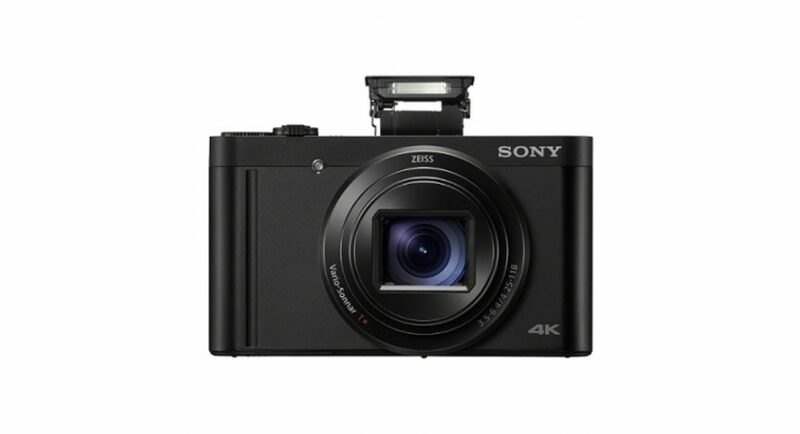 Sony Cyber-shot DSC-WX800 camera sports a back-illuminated Exmor RTM CMOS sensor that comes with an effective resolution of 18.2MP. Its optical SteadyShot enables image stabilisation on the camera its Zoom Assist function lets users zoom out temporarily so that they can see a wider area while they are shooting a subject from the 720mm telephoto end. The company has said that the newly launched camera can capture a 4K movie footage “with full pixel readout and no pixel binning.” Sony has also claimed the new models can shoot fast-moving subjects with high-frame rate HD recording at up to 100fps to produce impressive slow-motion sequences during editing. The camera has a Bionz X image processing engine clubbed with an LSI which is said to deliver high-speed continuous shooting at up to 10fps. It has a buffer limit of up to 155 images. Sony Cyber-shot DSC-WX800 has Bluetooth support that enables transfer to smartphones that come with Android 5.0 or higher and Bluetooth v.4 or higher. The device also works with iPhones starting with iPhone 4S and iPads starting with iPad generation 3. Other features of the camera include autofocus with only 0.09 seconds of speed, eye autofocus, touch focus/touch shutter function, sensitivity up to ISO 6400 for low-light photography and RAW format image recording. For enhanced selfie shots, there is a 180-degree tiltable LCD touchscreen.